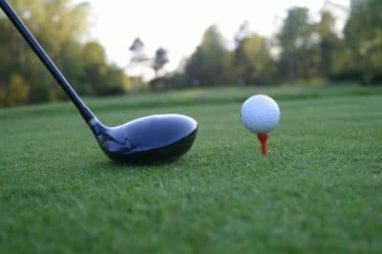 Make-A-Wish New Jersey has two great events teeing off in August. If you love to be with friends and be competitive on the golf course, you won’t want to miss these events! This golf event started in 2009 and has raised over $90,000 for Make-A-Wish New Jersey. They hope to exceed the $100,000 mark this year. Come out and help make history! “Golf For Wishes” will be held at the unique South Jersey’s Little Mill Country Club. This is the only private 27-hole course. The event will be held Aug. 8, with the shot gun start at 12:00 p.m. This event is open to the public, so you won’t want to miss out! If you would like to play individually the entry fee is $185, and if you would like to get a group of friends together it is $700 for a foursome. Your tickets will include lunch, dinner, 1 hour open bar for beer and wine and each golfer will receive a gift. If you have any questions about volunteering, participating or sponsorship opportunities, you can contact Bob Swartz at rmswartz@comcast.net or call him at 609-706-8374. Monroe Strikers partnered with Make-A-Wish New Jersey to host their first ever golf outing at the Bunker Hills Golf Course. The event is Aug. 27 with registration at 11 a.m., and the shot gun start will be at 12 p.m. If you would like to play individually it is $135 and for a foursome it will be $500. The entry includes a cart, food, drinks and gift bag. The golfers will also receive one ticket per player to the North Brunswick Grill and Pub for a two hour buffet and open bar. During this time a tricky tray will be held. 50 percent of the proceeds will benefit Make-A-Wish New Jersey. If you have any questions about the event, want to become a sponsor or donate to the tricky tray, email Dave Salter at dsalt78@aol.com or call him at 609-917-4027. If golf isn’t your thing or you can’t make the events there is another way you can help! If you have a vehicle that is just sitting around not being used you can donate it to Wheels for Wishes. The proceeds from your donation will help benefit Make-A-Wish New Jersey. We will take cars that run or no longer run. You don’t need to worry about towing it anywhere. We will come pick it up for free! We make this process easy. Just call us at 1-877-431-9474 or fill out our online donation form. Don’t let that car sit around any longer. Donate today!